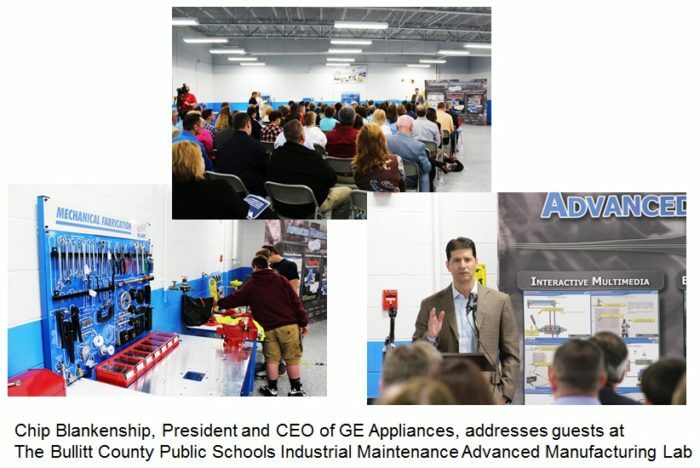 LOUISVILLE, Ky.—April 26, 2016—With the financial support of Amatrol and GE Appliances, Bullitt County Public Schools opened a state-of-the-art Industrial Maintenance Advanced Manufacturing Lab at an official unveiling on April 27th. The Greater Louisville area is experiencing a resurgence in manufacturing sector jobs after decades of decline. Today area manufacturing is an $11 billion industry, representing 17% of the region’s economic activity and 13% of regional employment, according to the Bluegrass Economic Advancement Movement (BEAM) and the Kentucky Cabinet for Economic Development. However, too few programs prepare students for careers in manufacturing.